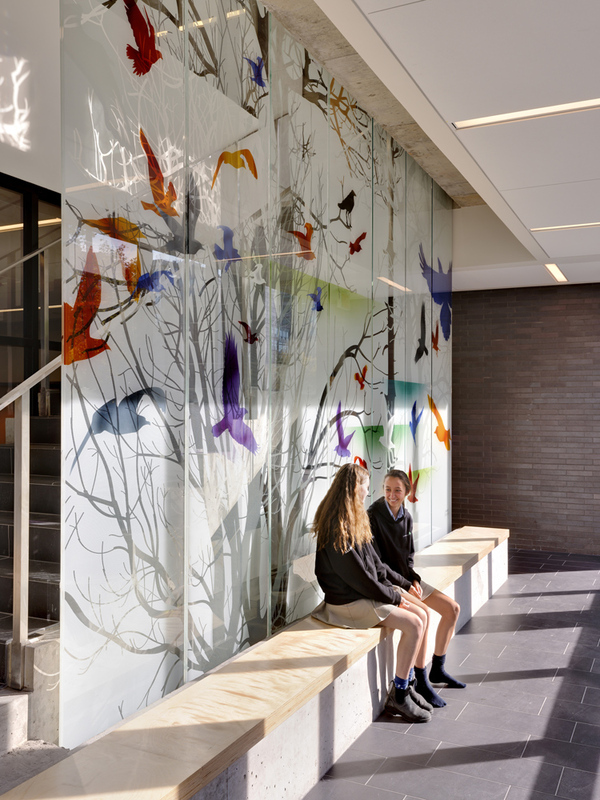 In 2003, Montgomery Sisam partnered with Greenwood College School to transform an existing three-storey commercial building and adjacent parking lot into a new 46,000 ft2 k-12 school. 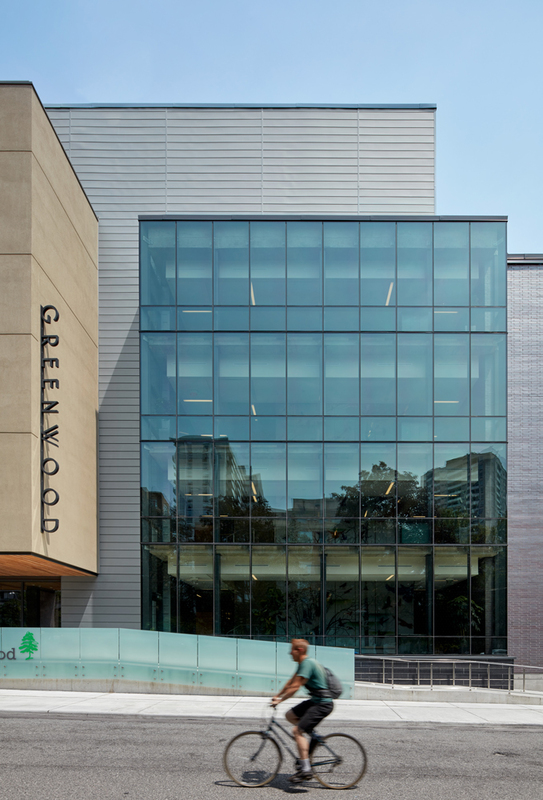 With a growing population and evolving needs, Greenwood reengaged Montgomery Sisam in 2011 to complete a major expansion project. 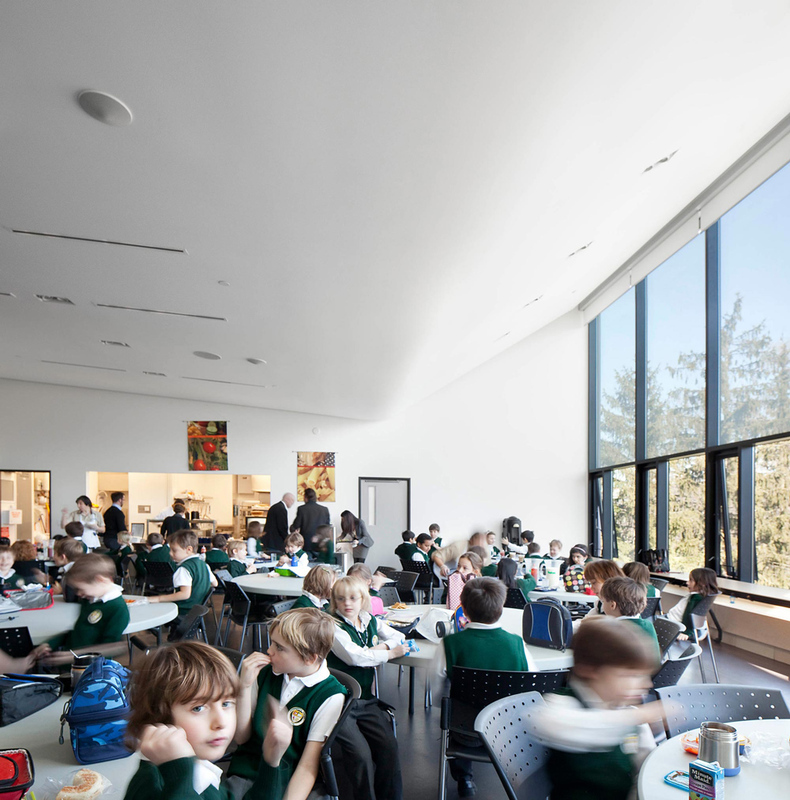 The dense, four-storey expansion joins the existing structure at every level above grade, increasing the School’s square footage by 120%. 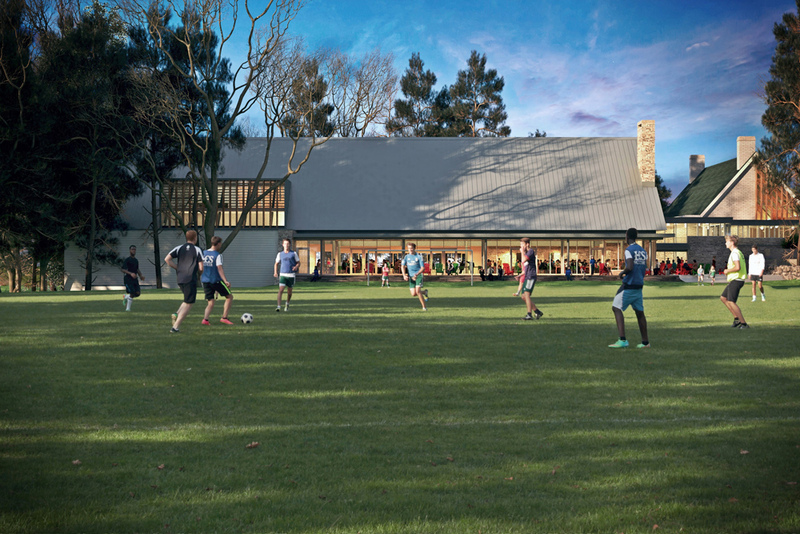 It provides students with all the amenities of a campus within the constraints of a tight urban site. 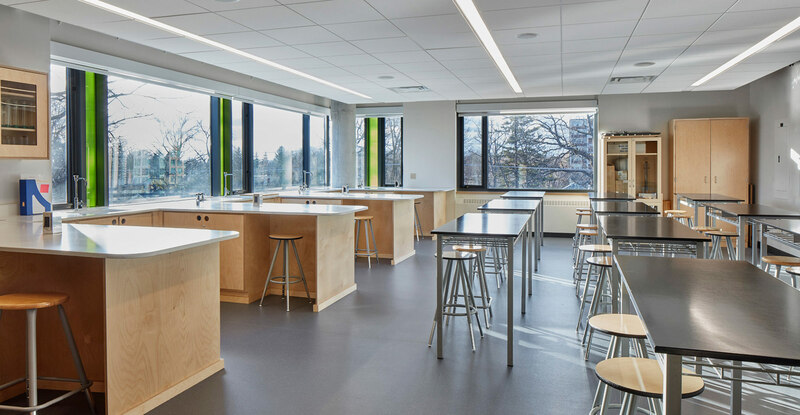 Large, flexible classroom structures stacked along the south side accommodate increasing initiatives in co-teaching and interdisciplinary programming. 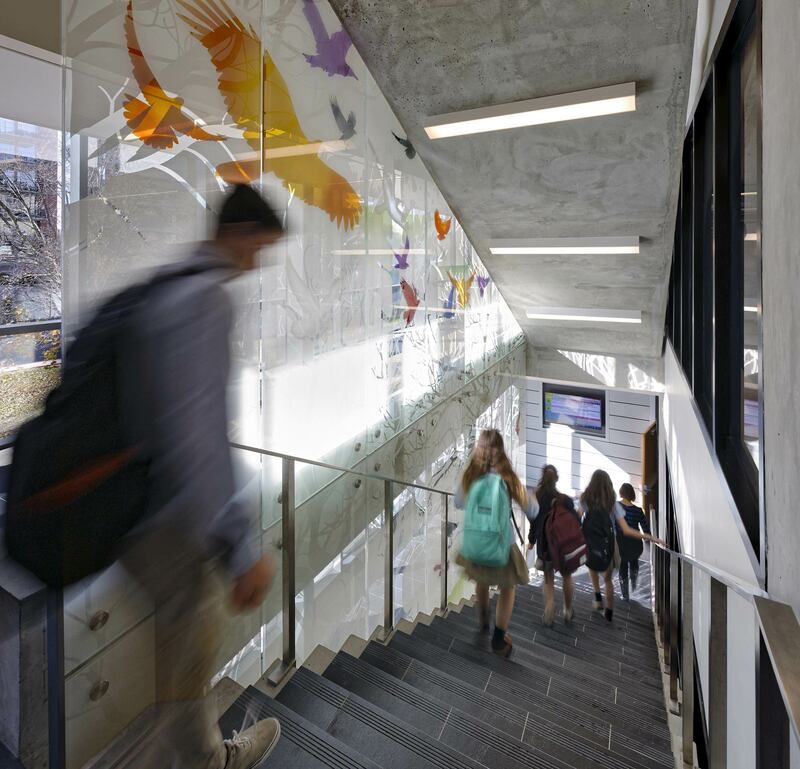 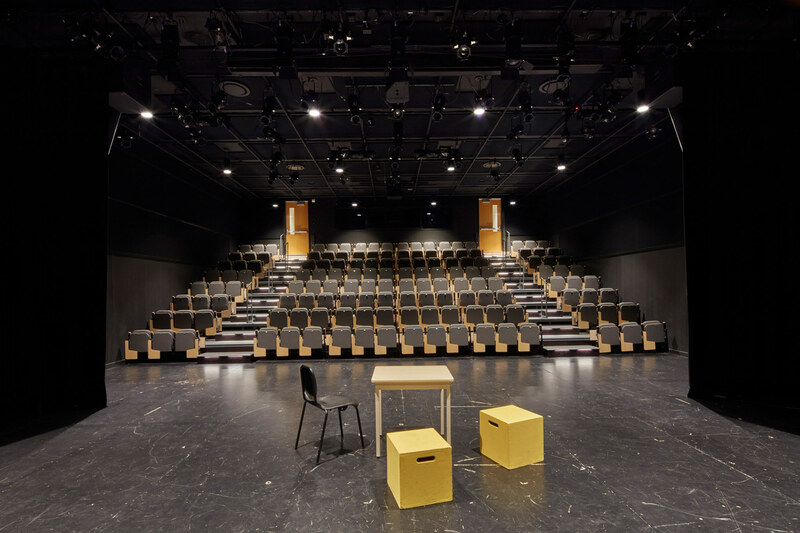 A highly open and integrated floor plate connects these classrooms with specialized, state-of-the-art spaces for music, visual arts, digital media, theatre and athletics through a free flow of casual student space. 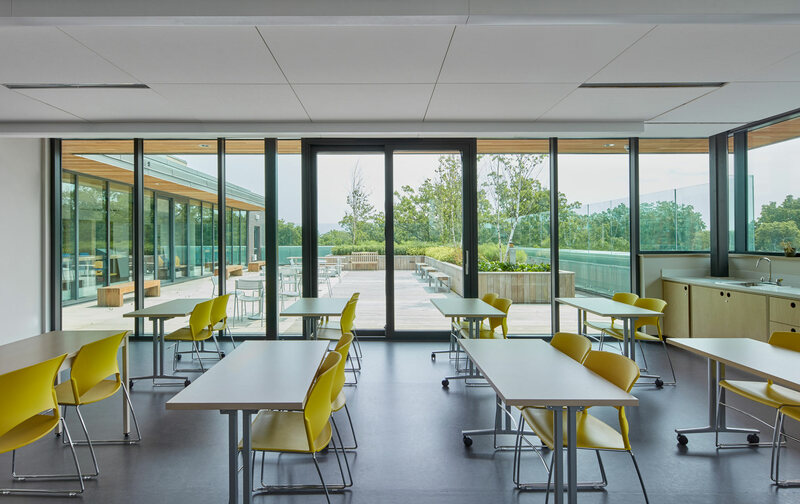 Casual student space, together with a series of glazed hallways and a new, glazed feature stair, celebrate activity, movement and interconnectedness across each floor plate and between building levels. 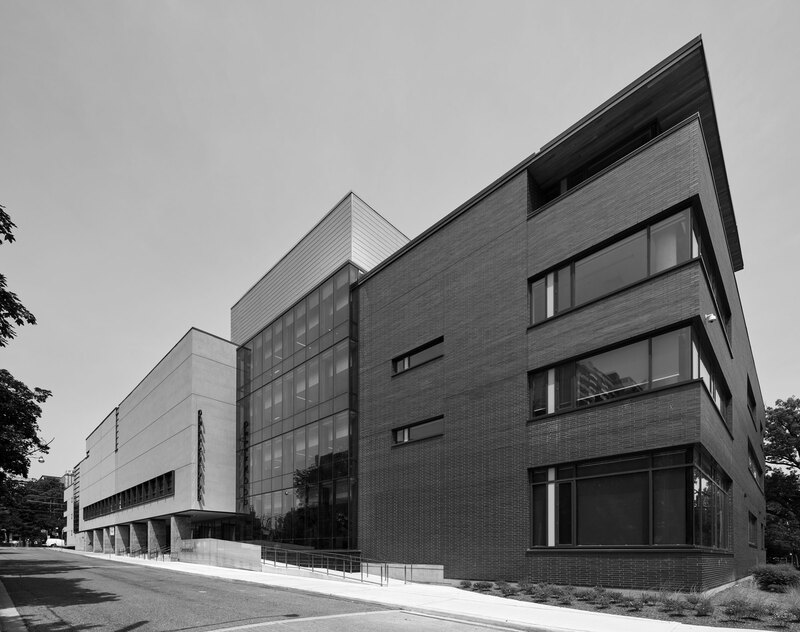 This ‘building as a campus’ also creates a positive condition in the city that respects and engaged with its unique urban residential context. 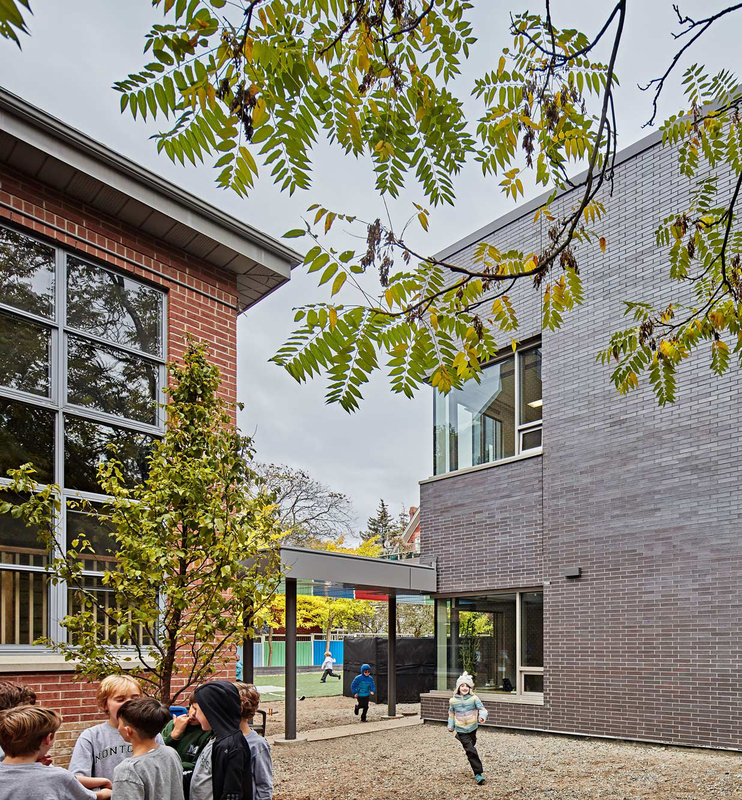 The extension of the existing stucco façade along the front elevation offers a new, accessible entry porch, enhancing Greenwood’s presence on a major arterial road while also buffering neighbouring houses from the transit way. 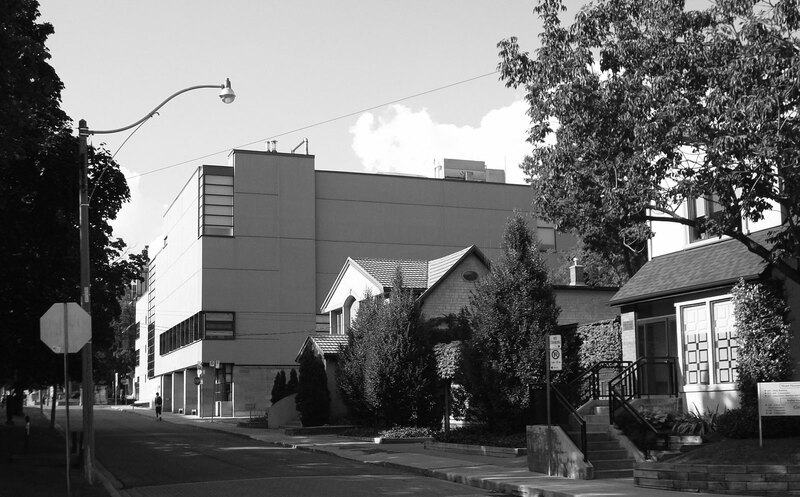 The building’s south end is reduced to a three-storey masonry block in deference to the scale of the adjacent residential street. 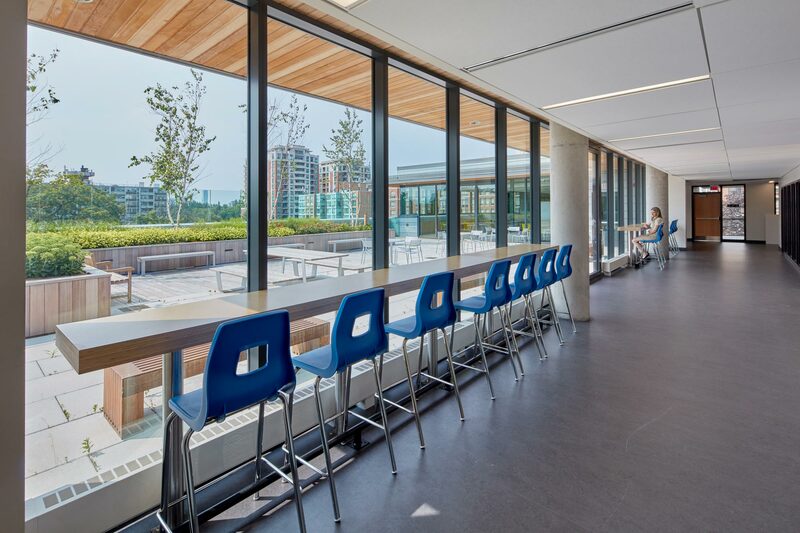 Landscaping initiatives enhance the pedestrian realm along all frontages, consolidating the campus vision – a vision that has become a catalyst for revitalization in the neighbourhood. 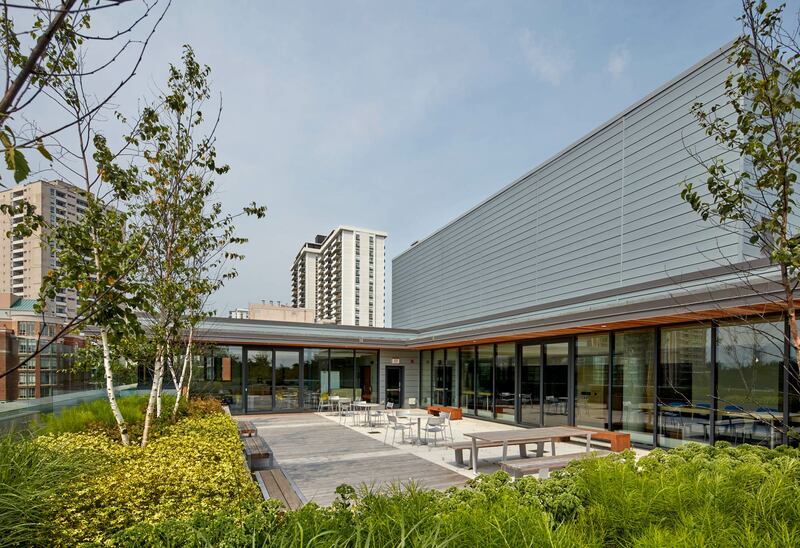 The expansion is registered LEED Gold.